Domestic violence and assault (whether charged as a single offense or as separate crimes) are considered serious offenses in the state and can carry serious penalties. If you are charged with domestic violence and assault, you should contact a good lawyer as soon as possible to best protect your rights. If you are convicted of domestic violence or assault in the state of Ohio, you may face a lengthy jail sentence and you may also have to pay hefty fines. A conviction can make it difficult to find future employment because a criminal record for an offense of violence will follow you. 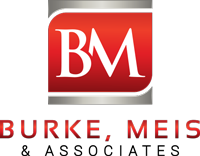 Contact Attorney Adam Burke today at (614) 280-9122 for your free consultation. In the case of a conviction for domestic violence, penalties are determined by whether the family member suffered any serious injuries, the number of prior offenses (if any), and whether the family member was pregnant at that time. The law deals harshly with those convicted of physical domestic violence against pregnant women. A conviction for the first offense of domestic violence is considered a misdemeanor of the first degree. It is punishable by up to 6 months in jail and fines of up to $1,000. A second conviction of domestic violence is considered a felony of the fifth degree (F5). The penalty for fifth degree felony is a fine of up to $2,500 and a possible prison sentence of six (6) to twelve (12) months. A third conviction, following Senate Bill 50 amendments, will result in a felony of the 3rd degree (F3). The punishment is a possible prison sentence of between one (1) and five (5) years, depending on the severity of the crime, and up to $10,000 in fines. Recklessly causes serious physical harm to another person or to an unborn child. A person may be charged with committing aggravated assault when he or she acts in a fit of passion or rage. This is one reason why we so often see domestic violence and assault charged against the same person – family fighting often involves heavy emotions. Another factor when considering assault versus aggravated assault is the amount of harm caused to the person. When the accusation involves serious bodily harm, it generally means an aggravated assault charge. When assigning penalties for assault, the judge will take into account whether or not the assault was a simple assault or a negligent assault, and whether you acted in a serious fit of rage. The damage you caused will also help decide the severity of the crime. A felonious assault is committed when you seriously harm someone or someone’s unborn child with or without a deadly weapon or attempt to harm someone with the help of a deadly weapon (like a knife). It is treated as a 2nd degree felony, and you may be faced with a potential prison sentence of 2 to 8 years, as well as having to pay fines of up to $20,000 if convicted. Aggravated assault is typically dealt with less harshly than felonious assault. This is because the law takes into account the almost uncontrollable emotions that you were feeling at the time you committed the assault, and recognizes that you were not yourself. An aggravated assault is a 4th degree felony, and may be punished by a prison term ranging from 6 months to 18 months in prison, as well as fines of up to $5,000. If by recklessness (when you do not care if your actions harm someone) you harm someone, you are considered to have committed assault. A simple assault conviction will result in you spending up to 6 months in jail and paying fines of up to $1,000, as a first degree misdemeanor. Negligent assault is considered to have been committed if you cause harm to someone due to your negligence. This is an unintentional assault (an example is a hunting accident). It is considered to be a 3rd degree misdemeanor, and you may be punished by having to spend up to 60 days in jail and having to pay up to $500 in fines. It is often possible to successfully defend against assault charges by pleading that it was a case of self-defense. So this means that even if you caused serious harm to someone, you can say that you did so to defend yourself from harm. It is very common for a single person to be charged with both domestic violence as well as assault. When a person harms his or her family member, he or she is guilty of committing domestic violence and assault against them. Because of the double charges, the law deals with domestic violence and assault very harshly, and it is common for the person to face lengthy prison terms as well as have to pay huge fines, depending on the type of crime committed. There are provisions in Ohio law to arrest both parties (when applicable) in the case of domestic violence and assault, though this practice is generally discouraged. In most cases, the instigator of the domestic violence and assault is the one who is arrested. The officer considers who the primary instigator is on the basis of any domestic violence history (if any verifiable history can be found), whether the domestic violence and assault was committed in self-defense, the emotional vulnerability of the parties involved, and by judging the severity of the injuries sustained by the parties. Domestic violence and assault are treated as two separate crimes, though they may be committed at once, and penalties are handed out accordingly. Please refer to the penalties section of the text above for more details. It is common for the court to issue a temporary protection order (a TPO) to the victim of domestic violence and assault, after the victim has submitted an application for one. This application may be submitted by the victim of abuse, or by a law enforcement officer on behalf of the victim. This TPO is a domestic violence protection order that commands the charged abuser to stay away from the victim. This means that the charged person will have to stay away from the victim’s residence, place of employment, or any place that the victim frequents. The order is geared towards protecting the abused from more abuse. The TPO, once obtained, is valid only until the case has been completed in court. If the abuser is convicted, there is no longer a need for the TPO. The Civil Protection Order is another such order the court issues from time to time. The CPO is generally in effect 5 years from the date of its issuance. The CPO, apart from helping prevent further abuse by keeping the abuser away, also may award temporary child support and spousal support benefits if applicable. It can also award child custody rights, visitation rights, make provisions for supervised visitations, award use of an automobile, and other personal properties of the parties involved in the case. It may also require the abuser to undergo counseling. It is possible for you to obtain a TPO and later obtain a CPO. A TPO is usually obtained within a period of 24 hours, but sometimes it is possible to get a TPO issued immediately in grave cases where the victim faces a serious threat of further abuse. A CPO, on the other hand, is issued within a period of 10 days after filing the application. It is also possible for an emergency (ex parte) CPO to be issued. The court, in rare cases, may issue a mutual protection order to keep the parties involved away from each other. It has to be proven in such cases that both the parties involved were the target of domestic violence and assault. Because domestic violence and assault are crimes usually committed by people the victim might know well, the victim is often too traumatized, or too afraid of giving a true testimony in court. If, for example, a wife is abused by a husband, she may be reluctant to give testimony against the husband in court, even if the crime was reported by someone. There are also cases of people reporting a crime to a law enforcement official, and then later backing out when the time comes to bear witness. There have been many cases in the news over the years that have brought into public awareness the problem of domestic violence, forcing the Ohio administration to introduce tougher laws to deal with the threat.